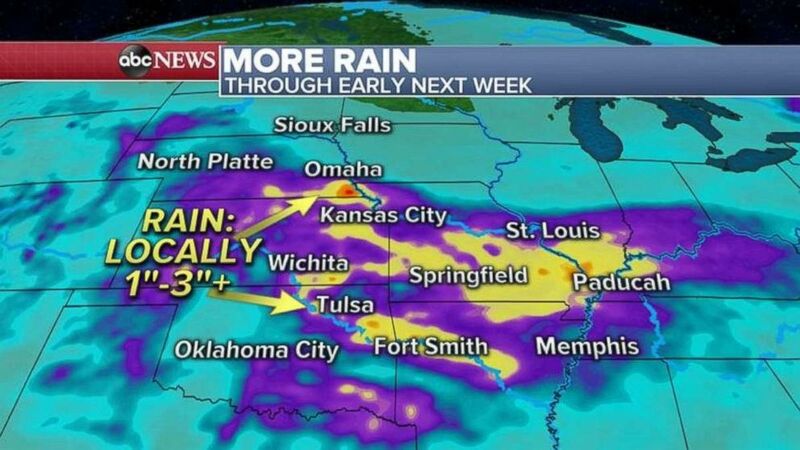 Also, flooding continues in the Plains. 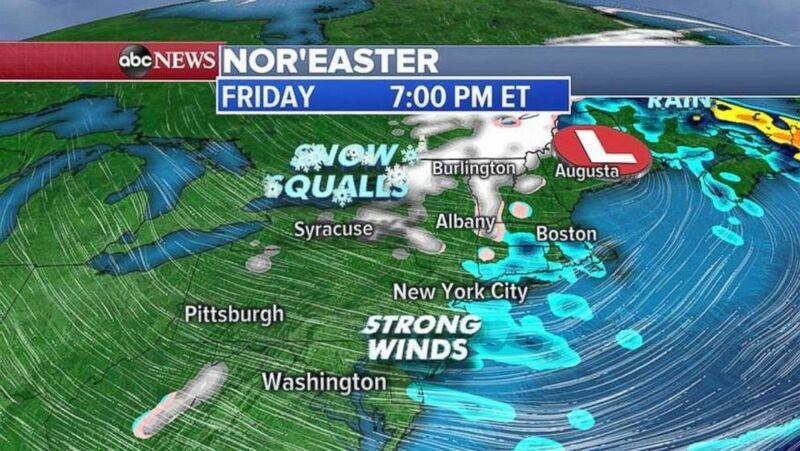 A coastal storm is set to bring heavy rain, snow and strong winds to the Northeast on Thursday and Friday. 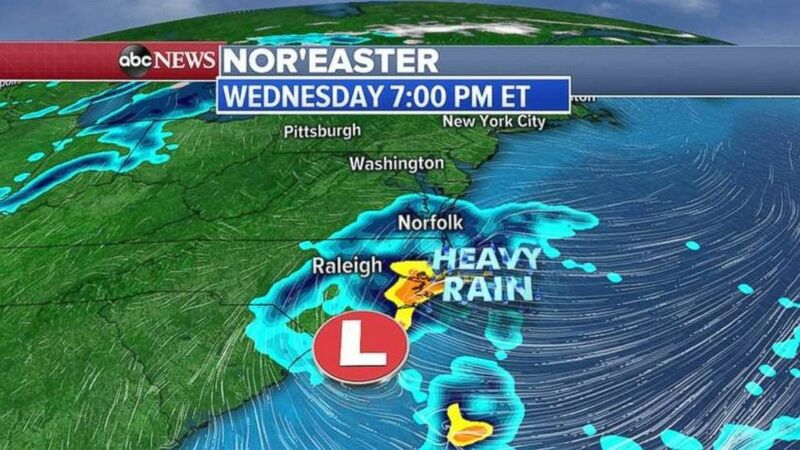 (ABC News) Heavy rain will develop off the coast of the Carolinas on Wednesday night. (ABC News) The rain will move up the coast during the day on Thursday. 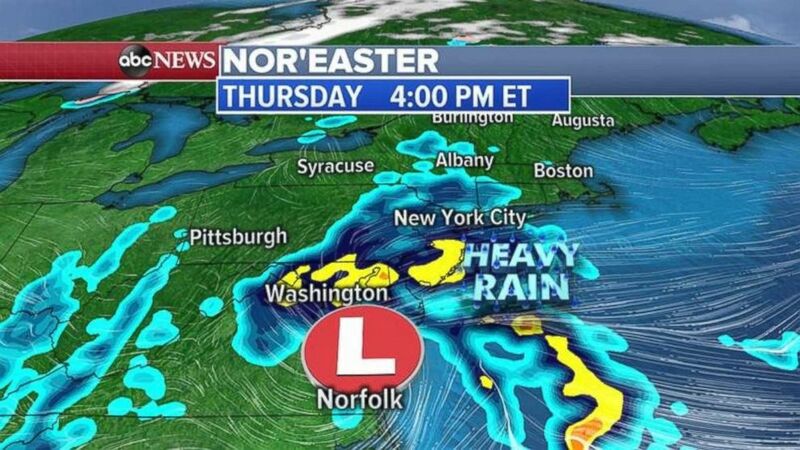 (ABC News) The rain will move into New England through the day Thursday. Snow is possible for inland areas. While waters are receding in Nebraska and people are beginning a long clean up process, but rivers are only beginning to rise in parts of the Dakotas, Minnesota, Wisconsin and Iowa. 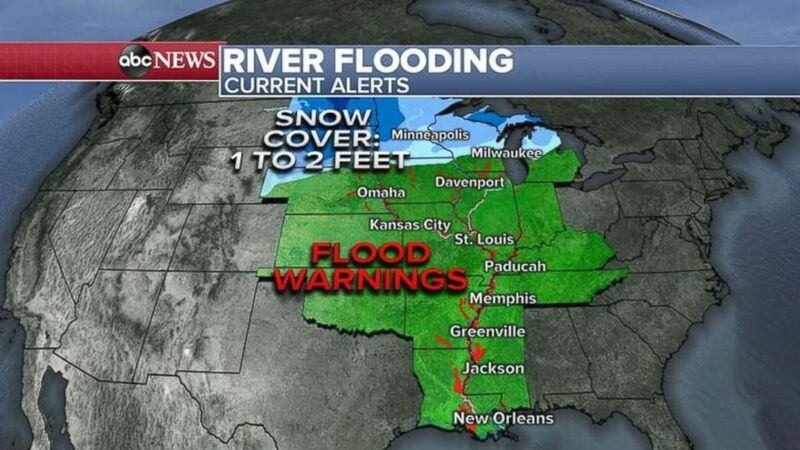 (ABC News) Flood warnings are in place along the Mississippi River from Minnesota down to the Gulf Coast. The Missouri River in St. Joseph, Missouri, is forecast to reach major flood stage close to its 2011 flood level. In Atchison, Kansas, it will reach close to the 1993 flood level. Minnesota River is rising southwest and west of the Twin Cities, and is forecast to crest sometime next week. The Mississippi River is rising in St. Paul, Minnesota, where it is forecast to reach near major flood stage by next week. (ABC News) The Plains are expecting more rain in already flooded areas over the weekend and into next week. A new storm system will move through the area late in the weekend and into early next week with more substantial rainfall,. Some areas could see 1 to as much as 3 inches of rain.